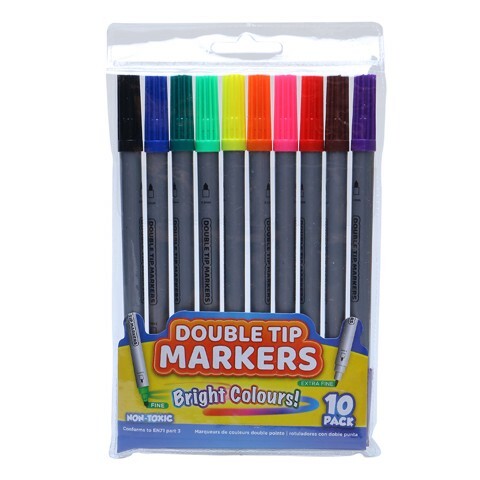 Colour Markers Dbl Tips 10Pk. 19 X 12 X 1 CM. PURPLE I BROWN IRED I PINK I ORANGE I LIGHT GREEN I GREEN I BLUE I BLACK. PP I INK PIGMENT. 83G Packaging: PVC BAG WITH COLOUR INSERT.